When will be Flintoff: Lord of the Fries next episode air date? Is Flintoff: Lord of the Fries renewed or cancelled? Where to countdown Flintoff: Lord of the Fries air dates? Is Flintoff: Lord of the Fries worth watching? Freddie Flintoff climbs back aboard his chip van as he tours England, Wales and Ireland in search of deep-fried food fans and new adventures. Freddie gets revenge by entering Rob in a charity horse race. Later, they fry for a Michelin-starred fish-and-chip chef. But will he be impressed? Venturing boldly forth in a new vehicle, Freddie and Rob challenge Cornish wrestlers, join a creepy ghost hunt and tackle some tough hill cycling. Freddie Flintoff hits the high notes with a choir in Blaengarw as his fellow fryer Rob tries to prove that Wales is the best place in the British Isles. 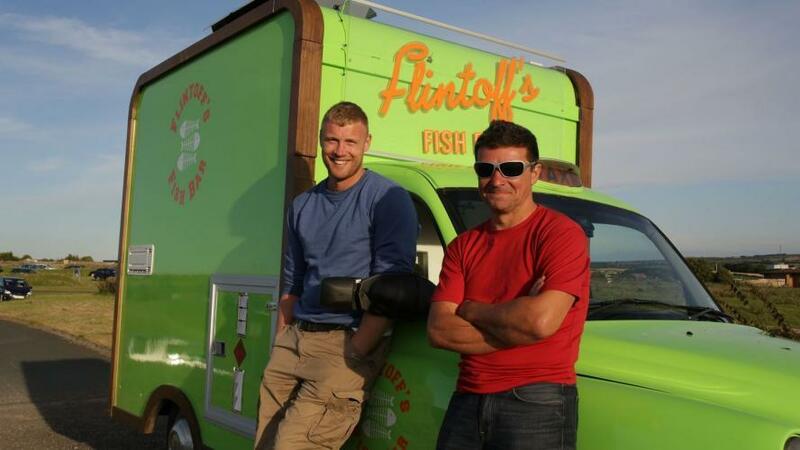 Andrew Flintoff and Rob Penn's second tour concludes in Ireland, taking their mobile chip shop to the country's infamous 'magic road', where idling vehicles are said to defy gravity and roll backwards uphill. Flintoff also enters Rob into a charity skinny-dipping event, and the pair aim to reconnect with their spiritual sides by spending a morning with two of Ireland's foremost mystics on the Hill of Tara. Flintoff: Lord of the Fries next episode air date provides TVMaze for you. EpisoDate.com is your TV show guide to Countdown Flintoff: Lord of the Fries Episode Air Dates and to stay in touch with Flintoff: Lord of the Fries next episode Air Date and your others favorite TV Shows. Add the shows you like to a "Watchlist" and let the site take it from there.